Easy blueberry smoothie recipe that keeps you happy for hours. One small smoothie offers almost 5 grams of fiber as well as 5 grams of protein. The smoothie tastes sweet, creamy and fresh. Plus, thanks to cacao nibs, there’s a hint of dark chocolate. Jump to the Blueberry Smoothie Recipe or read on to see our tips for making it. Our recipe makes one large or two small, kid-friendly smoothies. One small smoothie offers almost 5 grams of fiber as well as 5 grams of protein. 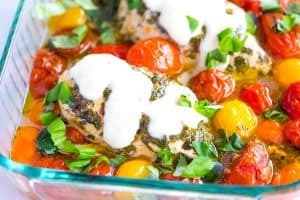 It’s packed with antioxidants, vitamins, minerals and healthy fats. These blueberry smoothies are easy to make and keep you happy for hours. My favorite thing about smoothies is that you can adapt based on what you love. 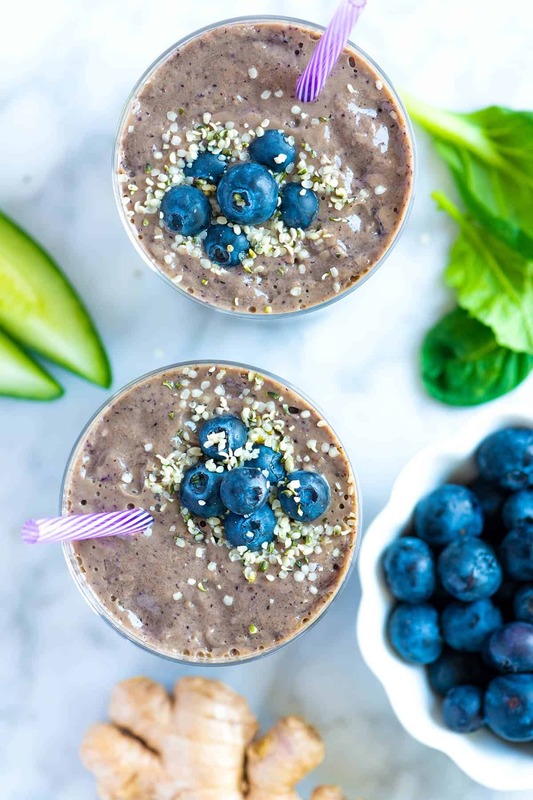 In this case, we took a basic blueberry banana smoothie and added lots of extra nutrition with hydrating cucumber, iron-rich greens and anti-inflammatory ginger. For even more sticking power, we throw in omega-rich hemp seeds and cacao nibs. Blueberries are high in fiber, low in sugar and are packed with antioxidants, vitamins and minerals. You can use fresh or frozen berries. The only downside to fresh is that they have quite a bit of pectin. There isn’t anything wrong with that, but when fresh blueberries are blended, the smoothie becomes thick and jello-like over time. This isn’t a problem with frozen blueberries, so if you have frozen, use them. Banana adds creaminess, but it doesn’t stop there. 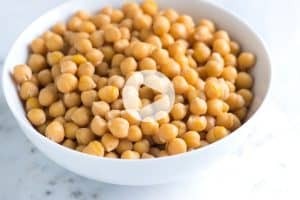 They are a nutritional powerhouse packed with heart-healthy potassium, vitamin B6 and fiber. Cucumber, spinach and fresh ginger are rich in many essential vitamins and minerals and work wonders in reducing inflammation. They’re also great for healthy skin, hair and nails. Hemp Seeds and cacao nibs add a bit of protein and lots of omega fatty acids. 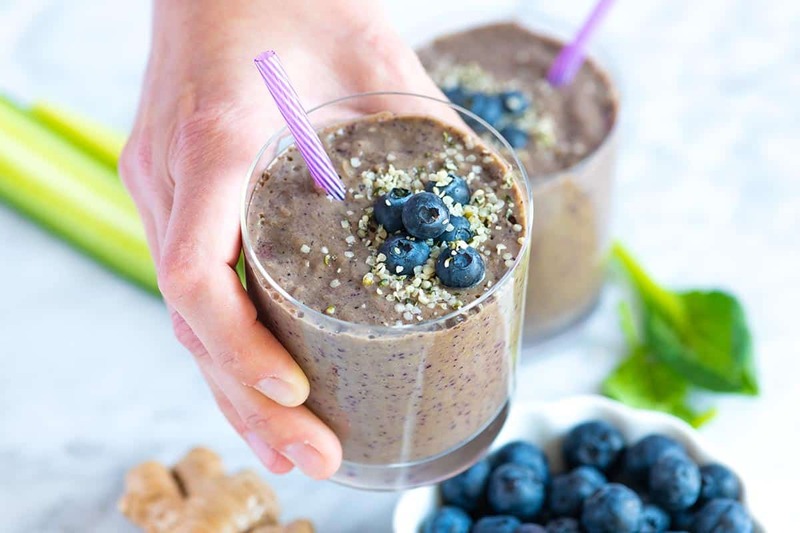 The hemp seeds blend in and make the smoothie extra creamy while the cacao nibs add a little bit of dark chocolate flavor. If you don’t have cacao nibs, try a teaspoon of cocoa powder or just leave them out. Easy Green Power Smoothie — Make this protein-packed green smoothie recipe with fresh spinach, banana, orange, and Greek yogurt in under 5 minutes. Naturally Sweet Lemon Ginger Power Beet Juice — Naturally sweet beet juice recipe with fresh lemon plus soothing ginger and cucumber. High in vitamin C and essential minerals! Ultra-Satisfying Strawberry Banana Smoothie — With 6 grams of protein and 7 grams of fiber, this utterly delicious strawberry banana smoothie will keep you full and energized for your day. Naturally Sweet Green Detox Juice — Naturally sweet green juice recipe with apple, spinach, parsley, and lemon plus soothing ginger and cucumber. High in iron, vitamin C and essential minerals! Healthy and satisfying blueberry smoothie recipe packed with good-for-you ingredients. If you can, use frozen blueberries and frozen banana — they will make the creamiest smoothie. Next time you have a bunch of bananas in the kitchen, chop a few up and freeze for smoothies another day. 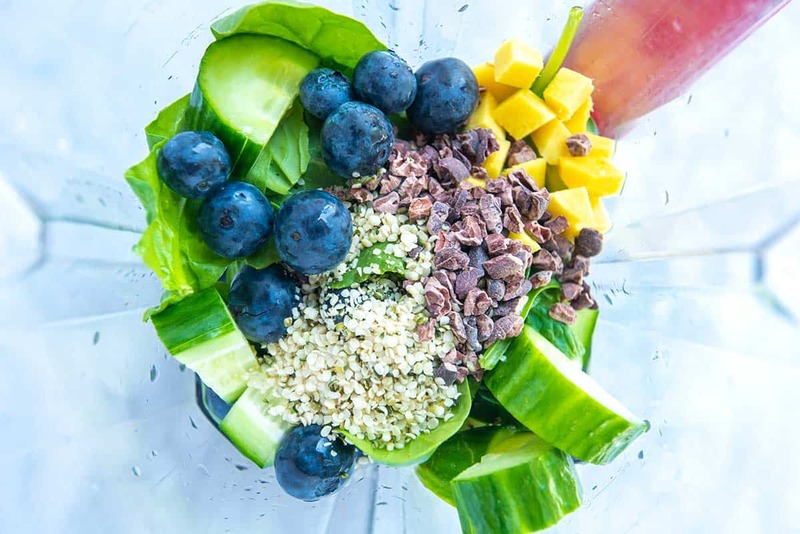 Add blueberries, banana, cucumber, greens, ginger, hemp seeds and cacao nibs to a blender. Pour 1 cup of water on top then blend until creamy. 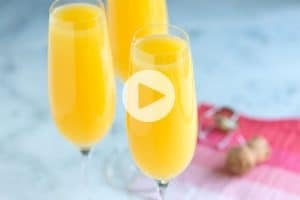 If the smoothie is too thick, add a splash more liquid. If it is too thin, add a handful of ice cubes. Frozen blueberries are best: Fresh blueberries are delicious, but we’ve found that frozen berries make the best tasting and textured smoothies. Fresh blueberries have pectin in them so when they are blended into a smoothie, it can get thick and jello-like. If you use fresh, enjoy the smoothie straight away or use frozen blueberries. Frozen banana will make the smoothie even creamier. Not sweet enough: If, after blending, the smoothie isn’t sweet enough, add a little honey or agave nectar. Not creamy enough: To make the smoothie even more creamy, swap the water for almond milk, coconut milk or even regular dairy milk. Nutrition facts: The nutrition facts provided below are estimates. We have used the Nutrifox recipe calculator to calculate approximate values.